Already own three of next month's free games so just XCom for me. REMINDER: Today's the last day to pick up Super Meat Boy[XB360BC] for free - Goat Simulator[XB1] continues until the 30th, The Crew[XB1] and Xcom: Enemy Unknown[XB360 BC] begin on 16th to the 30th. Already have 50% of those...but on the good side, that keeps my building list of unplayed games from growing exponentially. Meh. Nothing to interest me. Not the best month ever, hardly surprising seeing as October only has Gears 4, Battlefield 1, Titanfall 2, Mafia 3 etc coming out. Already got I Am Alive and The Escapists, definitely give the other two a go though. True, hadn't thought about that - no sense in giving away big games when the market's gonna be trying to deal for cash... I Am Alive is ok, a bit slow at times but decent enough for a few hours of play. Haven't played any of the others though. Well, looks like I'm gonna go 50% in on next month's offerings. 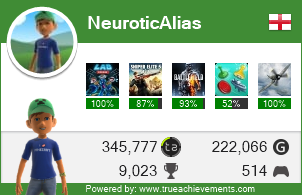 Still not bad - picked up Murdered: Soul Suspect earlier for $5.00 and Blood Dragon was definitely a good pick up a while back. 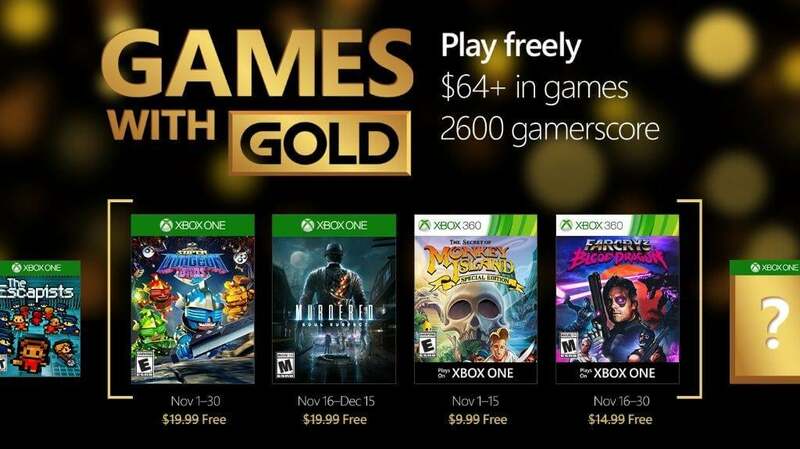 As a reminder - Far Cry: Blood Dragon and Murdered: Soul Suspect are now available to download for free!